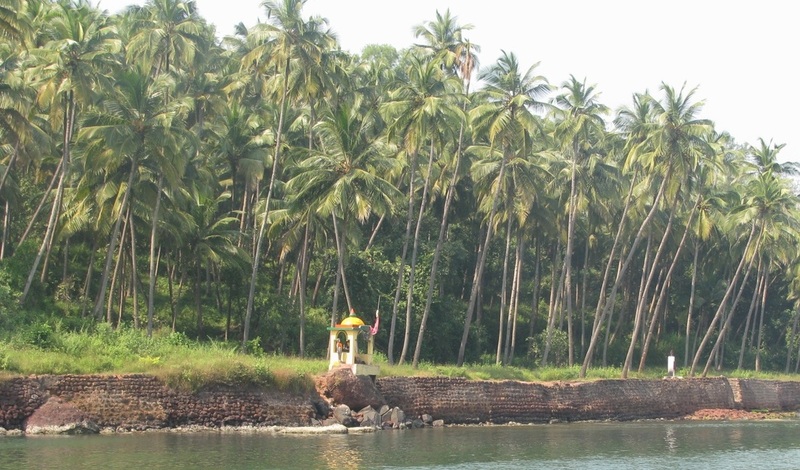 The state of Goa is located on the western coast of India in the coastal belt known as Konkan. The rich tropical biodiversity of abundant plant and wildlife, magnificent scenic beauty, restorative sea beaches and balmy climate ensure the pulse of nature is palpable here. We are delighted to host an Art of Hosting learning exchange here and be inspired by Mother Nature and each other to find wiser ways of living in harmony with Life. The laid-back, peaceful, warm and friendly nature of the Goan people and the architectural splendours of temples, churches and old houses add to Goa's magic. Over centuries, visitors and settlers from all over India and the world have been enchanted and added to Goa's rich cultural history of layered diversity. Goa also has a strong history of citizen action which continues today. There are pressing concerns about biodiversity, forests, the waters, garbage, the nature and scale of development, the inequity of who profits from the extraction of Goas natural wealth, and many more. We particularly welcome people from Goa who wish to join us in learning a new awareness, tools and practices to help us stay humble, wise, human and support eachother as we go about our changemaking to protect what we cherish about Goa. Things feel like they are hotting up, and we need to find wise ways of working together. We extend a warm welcome to those from outside Goa who feel called to join us as we learn together how to host conversations that matter - we are a growing global tribe! The workshop will be held in Mandrem in North Goa, close to one of the most unspoilt beaches of Goa. Whilst this may at first feel far away for Goan participants, we invite you to sink into a different pace for this workshop - whilst also respecting the need for some to get home in the evenings and budget restraints. We remain committed to ensuring that Goans from any walk of life who feel drawn to coming to this workshop can do so - and warmly invite any questions about making this accessible. If arriving by air/bus/train, please let us know your arrival times and we can see about carpooling or minibus pick-ups to make journeys cheaper and nicer. The workshop will be held in a beautiful retreat space in nature in Mandrem, north Goa. The Mandala is situated on the banks of the Asvem river near the shores of the Arabian sea. The secluded space provides ample opportunity for reconnecting with Nature as we go about our work. The owner supports the work being done and is happy to host us and make our stay as enriching as possible. Although the workshop is non-residential, accommodation can be booked either at the workshop venue, The Mandala, or at other sites in the area, depending on your budget. Participants will be responsible for their own accommodation costs. The course fee covers lunch, and morning/afternoon tea/coffee/snacks. Please book directly to themandalagoa@gmail.com quoting "Art of Hosting" as a reference. Homestays can be arranged for those on a budget or who just like homestays! Please be in touch with any questions you may have about accommodation.